Hope your week had been good! Mine was a struggle but I believe God has great plans for me in the coming months! Anyway, I am back with my 5th Challenge by Teenage Magazine and this challenge touched on the topic of “Skincare Myths!” I am so excited to share my skincare journey because I learnt it the hard way and whatever that I am going to share with you guys are journeys I’ve been through and held close to my heart. This is the first ever time I am publishing this on a public platform (I had my worst insecurities due to bad skin since young) and I hope people who are in the same situation as me, to not be despair of your skin condition because with proper care & discipline, your skin WILL improve. The skincare myths that I chose are based on true experiences and I hope from here, you will pick up some helpful tips and begin your skincare journey! I started late with proper skincare regime and I am a living example of a severe dry skin victim. In fact, I knew my skin was rather dry with couple of white heads, (those you cannot see physically but when you touch it, IT IS THERE. LIKE THERE) especially the nose, forehead and the chin area. My cheeks were relatively in a better skin condition then the rest of my face. So what I did for the past few years when I apply my make-up, is to apply on my all parts of my face but the forehead. (yes, I had my bangs to cover them). That is because my forehead tends to flake after just applying like a layer of cushion and facial powder! (this was how bad my dryness was). For my nose and chin, I usually only apply a layer of cushion and no facial powder over it because it will turn “flakey”. You know flakes? Snow? But no, no one wants snow from their faces. I had this severe dry skin for many years but I did not act to improve them because I thought well, we can cover with the make-up products. And throughout the years, there has always been some flakes on my skin even just a layer of cushion. I practically just gave up on how to improve my skin or well, being delusional that my skin is good with enough makeup coverage. Even when I am on shoot, the makeup artist(s) would always go “ahyo, so young only, skin quite dry huh. And they had to apply a layer of serum before setting my makeup) Now, one must go through an extreme painful experience before he/she takes things seriously. My laziness for skincare regime was ‘banned’ when I experienced the worst skin condition while I was on trip to Japan/Korea. Before I get to what happened to my skin in my recent trip, let me just rewind a little back to Primary School days – That’s right, Puberty days. (Gone were the days when I did not want to attend school because I was so sick of my face condition) As I’ve briefly shared a little above, I did not have the luxury of “milky white skin” but rather, skin full of blemishes (worst and scary). It looks like a combination of blemishes + eczema. It was not like a few pimples here and there but it was a bunch - Like congested traffic around that particular area. It begun first on my nose, and then it went to my forehead and lastly, my cheeks. My insecurities level was the worst during that period and days were hard for me to live by. Every day, I attended school with eyes looking at me and judging me with eerie expressions. I looked down on the floor while walking and trying to avoid all the eye contacts with people around me. During the quarterly “Meet the parents session,” it was supposed to be a talk from teachers to my parents on how well I’ve performed on my term’s work but the topic ended up on how they can help me to improve my skin condition. That was HOW BAD it was and my teachers ended up trying their best in hope to help me improve my skin situation. With such fearful experience, I had tried all ways possible, hearing all different opinions, going to different dermatologist in hope that miracle would happened. But nope, it was time and some hormones changes that fortunately improved my skin and slowly I had my confidence back. Here are the Skincare Myths which I had collated through my experiences (courtesy of some inputs from my friend) and hopefully you can pick up some helpful tips and caution along the way! Now, watch my video here first and see if you agree with me on these Myths! Thereafter, come back here on my blog to read on why are those myths. Myth #1: Expensive products are the best! I’ve Tried and Tested. NO. 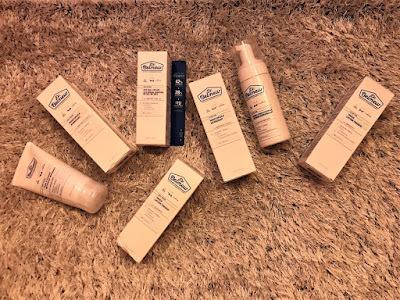 I’ve shared with you guys on a little history of my skin, and the desperateness at that time when my face was literally 见不得人 (cannot show people), I spent all my savings on different and most “atas” brands, it did not work for my skin and it further TEARED my skin. I even cried after seeing it getting from bad to worst. I shall not pinpoint the brands but I’ve been through it and I just hope to translate that one needs to be careful when it comes to buying your skincare products. The expensive products may work for certain people but sometimes, it may be too strong for your skin to take on. Thus, it resulted in extreme dry skin condition and will eventually tear your skin. Myth #2: You’re blessed with beautiful and smooth skin, so there isn’t a need for skincare! Well, congrats! You inherited good genes from your parents! However, if this is the case, wouldn’t you be more uptight about maintaining the good genes passed down to you? Ignoring skincare regime just because you have perfect skin is a total myth! We are exposed and affected by environmental factors which (sometimes, germs, bacteria and bad air) comes along and stick to your skin. You can’t see them but they can see you and stick with you! And if you do not act upon it, and you allow your skin to continue getting exposed to these environmental factors, the pores on your face will be clogged and this is when problems are coming. Blemishes do not give chance, they don’t appear one by one, they can appear as a bunch. Additionally, in Singapore, we are always exposed to the sun which gives no mercy, we perspire and produce more sweat and oil glands more often, as such, without skincare products to help to clean these off, one can get blemishes easily when pores are clogged. Myth #3: Face cleanser is more than enough! Really? You think so? If that is so easy, I guess skincare stores can start closing and stop trying to research on the follow up products to further keep our skin in its best condition. I was a victim of this myth. Because of a bad skin history, I am extremely wary of what I put or use on my face. I try to minimize the products on my face for fear that it would tear my skin again. So I only had one cleanser and one sleeping mask for my skincare regime. Now, even though I diligently applied sleeping mask every single day, I did not feel that my skin was dewy or less dry. It was just maintaining its relatively dry status condition. For fear that if more products are used, my skin will not be able to take it, so I avoided using other follow-up products like Toner and moisturizers. Here comes my severe skin condition that happened just weeks ago when I was on a trip to Japan/Korea. Due to the weather conditions (it was cold), my skin condition went even drier and worse than before. Flakes begin to show on my nose, my chins and my cheeks. CHEEKS? It has always been the less problem area on my face??? With a pad of my usual face cushion, my skin showed signs of dryness and skin started peeling. My insecurities level went back to the top and I had to find toilets everywhere I go just to get some water from the tap to ‘replenish’ the dry skins. It was so bad that I even used my hand moisturizer to apply on my face. Desperate times calls for desperate measures. I asked my friend why is it so that I’ve diligently applied sleeping mask yet it isn’t showing through my skin? That was when she enlightened me on the importance of a TONER. A toner is an important follow up after the cleanser to help to further cleanse the impurities that it did not got washed off during the cleansing process. I used a cotton wool and had some toner on it and gave a thorough wipe, (that was my first ever time I touched on the TONER from Dr Belmeur) HOLY. The cotton wool had some slight black/dark brown ink! Wa, I wouldn’t have expected this. From then on, I had my eyes fixed on toner and would apply toner every morning and night without fail. Thank God I brought Dr Belmeur series up with me because it salvages my skin condition much! 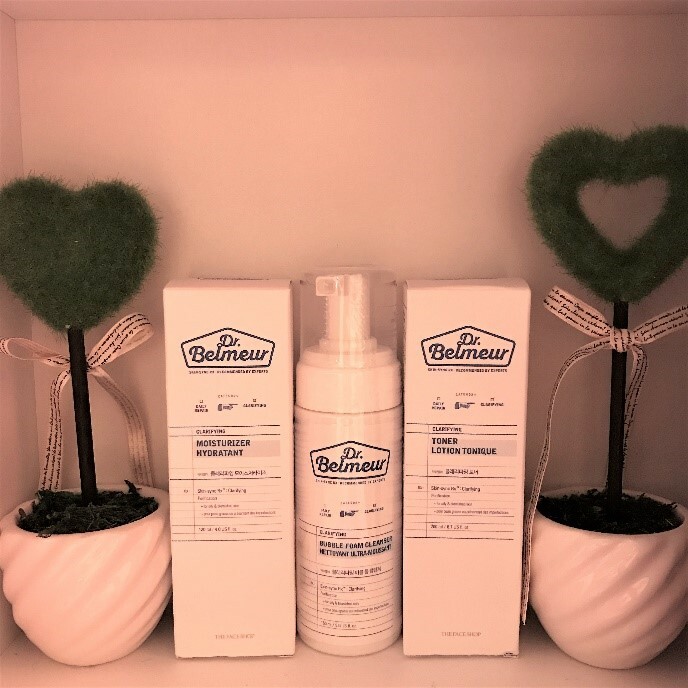 Dr Belmeur series has 2 toners which one is for people who has dry skin (like me) and the other is for one who has pretty much oily skin condition. That was what I’ve believed in for the past years. I did not trust Toners because it will further dry up my skin. Well, the past products or even products that I was convinced to buy had toners and it all ended up badly for my skin. It dried my skin further and made it looked like I had wrinkles on my nose and cheeks because it was so dry. For dry skin condition (like me), my friend had me realized that we should look for toners that are NON-ALCOHOLIC based. And not ignoring the existence of toners. As I’ve mentioned above, toner is an essential follow up to remove remaining impurities. Additionally, the reason why the sleeping mask hasn’t been working for me to get my dewy and moisture skin was because I had much impurities clogged up and my skin could not absorb whatever substance that was given. Sigh, I’ve probably wasted 2 bottles of sleeping mask (cries). It is ok, I’ve learnt my lesson and will diligently apply toners to completely get rid of impurities before anything else goes on! Myth #5: It is perfectly ok to use the same products for different skin types! 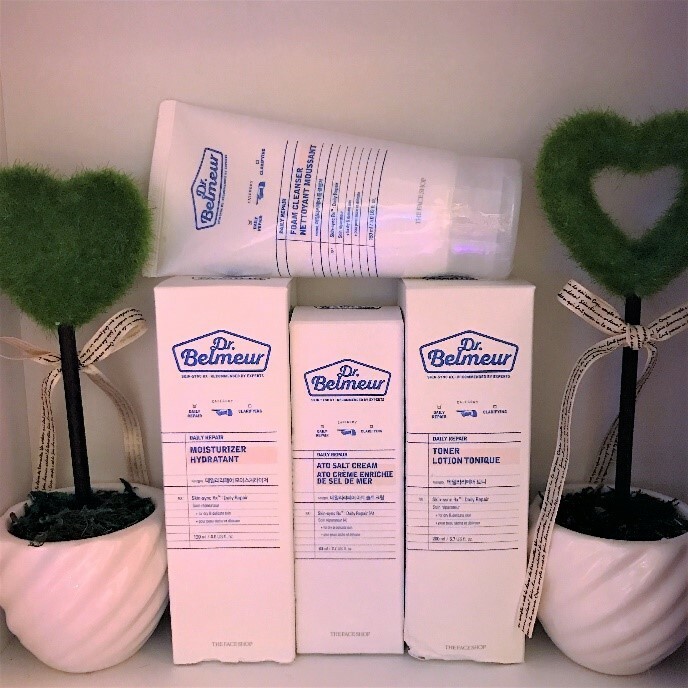 1st step: Cleanse thoroughly with Dr Belmeur Daily Repair cleansing form. This is my current skincare regime and I am so so happy with Dr Belmeur series because I’ve never expected that the daily repair series is so gentle on my skin! The cleansing form first wow-ed me because while it cleanses my face, I felt no irritation and completely no dryness! I am amazed. This is the time where I am so thankful that I took a step and gave Dr Belmeur series a try! The results delivered are beyond expectations. My skin condition improved a lot and I felt smoother skin then I have never expected to achieve. 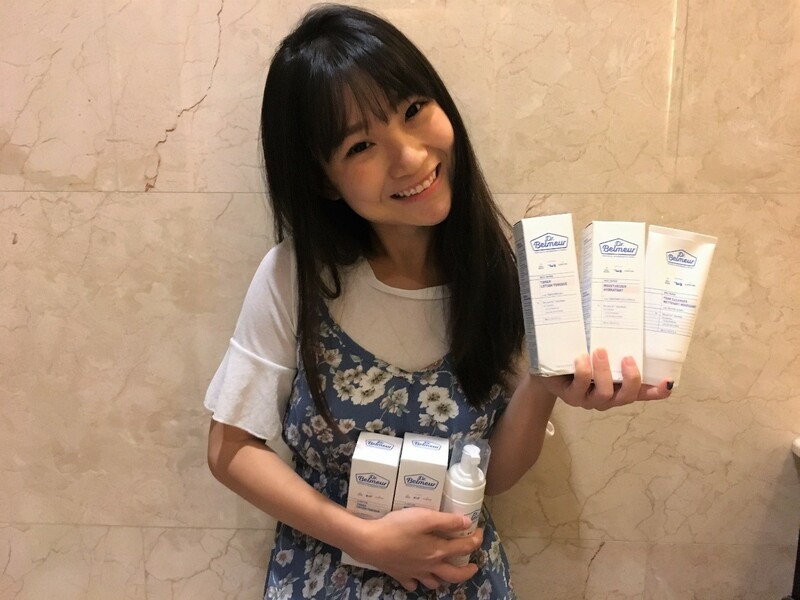 Thank You Teenage and Dr Belmeur (By THEFACECSHOP) for sending me these gems because I will be sticking on these skincare products from now! I’ve never been so satisfied with the results of skincare products and Dr Belmeur series gave me the confidence to glow my skin from within! Lastly, this additional thing is a MUST to have if you generally have dry skin. Thank You Dr Belmeur (BY THEFACESHOP) x Teenage for the love! I’ve found my new love for skincare brand and loving how my skin is glowing from within! Do remember to watch my Video on Skincare Myths right here! Travel to Batam with Jwanting & Julynn! Hi guys! So, if you follow me on Instagram (@jwanting), you will know i just got back from the 2 Days 1 night short trip to Batam! Usually, when we talked about batam, it reminds me of the resorts near the beaches and then there's nothing much already. I mean, for as I remembered the last time I ever visited Batam. However, this time round, I got introduced to a more city-style of Batam which I really enjoyed! I'm actually quite excited to share this post because many of you are already asking me what I did in Batam and where I stayed! So, let's begin our adventures! Julynn and I made a trip down to Batam over the weekends and yes, 2 Days 1 night short trip is made possible with Batam! You'll love this short getaway! Boarding on Majestic Fast Ferry to Batam! Thank You Best Western Premier Panbil for this arrangement of transportation! Had a comfy journey to Batam! W.Lab's Pink Beauty Spring Box! I can't take my eyes off the gorgeous pink box with more pinkie makeup stuff right inside! Thank You EzBuy for sending them over! I'm in love with this series! So, we have 4 gorgeous items here! This is W.Lab's Airfit cushion which serves to provide the perfect cover this Spring!